A leading executive and expert from Swiss-Belhotel International unveiled the group’s expansion plans for the MENA region at a Global General Managers’ Conference held in Jakarta, Indonesia, recently. 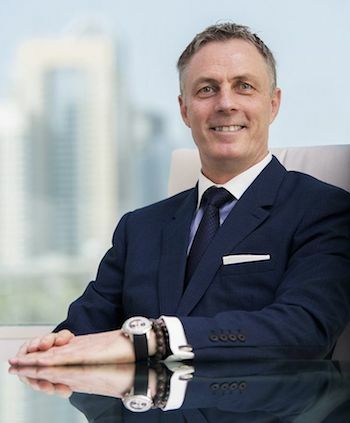 Laurent A. Voivenel, the hotel group’s senior vice president, Operations and Development for the Middle East, Africa and India, was among the top speakers at The Hotel Show, which was held at the Dubai World Trade Centre from 16-18 September. Participating in a panel discussion at The Middle East Hospitality Leadership Forum, Voivenel highlighted new trends in owner and operator relations. “New patterns of ownership, finance and management are emerging,” he said. “Contract terms are swinging in favour of owners who are primarily performance driven and are no longer satisfied with long-term capital appreciation. Talking about the changing market dynamics, Voivenel added: “The business is becoming more complex and competitive for operators who are grapping with multiple challenges. “The pie is shrinking with far too many hotel brands and regional operators – [the] market is being disrupted by new forms of competition such as Airbnb. So, what needs to be done to manage the gaps between owners and operators? “Both parties have to look at the equation differently. There is need for greater communication to build lasting relationships,” explained Voivenel.